Training gymnastics strength skills will not require from you to invest in huge floor spaces and an expensive equipment of the commercial gyms. The great thing about using your body weight to exercise is that you can achieve it in the comfort of your own home or a park nearby. Outdoor training is even easier. With little imagination, you will spot some of the gymnastics strength equipment in nearly every playground. So whether you want to save money or you’re simply leading a busy life and don’t have time for a gym workout, yet you still want to get really strong, all you will need is to make or to invest in a few pieces of gymnastics strength equipment for home training. Basic equipment needed for training pulling strength but not only. You can choose from cheap and easy to install door frame pull up bars to more expensive all-terrain free standing Pull Up Bar. Substitute: Assuming that you have high enough anchor points, many basic pull-up bar exercises can be replaced with gymnastic rings. Parallets are the essential piece of gymnastics strength equipment and are very easy to make. You will find it useful for training skills like L- Seat, Handstand or Planche. You can even use it for Dips with a little bit of imagination. P-Bars are usually set much higher from the floor and not often seen as home exercise equipment. Although many companies manufacture easy to install anywhere, portable P-Bars. 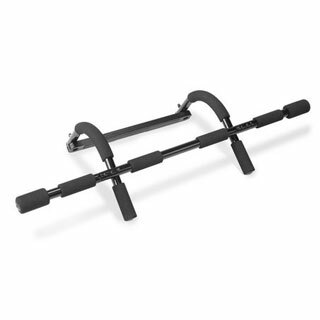 Substitute: Parallettes and P-Bars will easily replace each other with many different exercises. Any set of bars or supports (chairs) parallel to each other will work for a number of exercises. Many different variations of parallel bars can be found at local playgrounds. 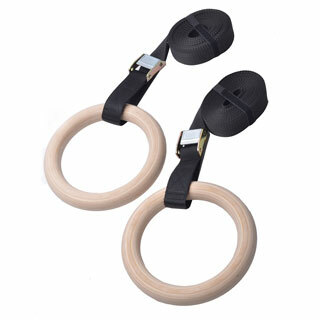 Rings are the single most powerful gymnastics strength equipment for building upper body strength. They will be needed for many basic fundamental exercises that you will need to master before progressing to more advanced strength feats. Relatively easy to install at home, even easier when training outdoors in a park. At home, you will need some anchor points, E.g. Ceiling, Loft hatch opening, or existing Pull-Up Bar. Substitute: The rings cannot be really substituted. It is common to attempt to mimic rings with TRX. TRX is tied to a single anchor point and has flat handles. TRX doesn’t have the same physiological effect since the rings instability is created by two separate anchor points. This will also prevent you from performing many exercises. Useful for warm-up exercises, enhancing strength, speed, flexibility, active mobility. Resistance bands are also a great rehabilitation and assistant tool for strength drills. 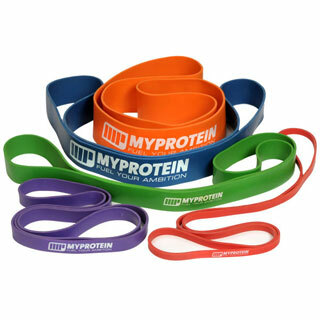 Resistance bands are an excellent piece of gymnastics strength equipment to complement your training programme. Substitute: Bike tube 🙂 Just joking. Easy to obtain and cheap to buy. 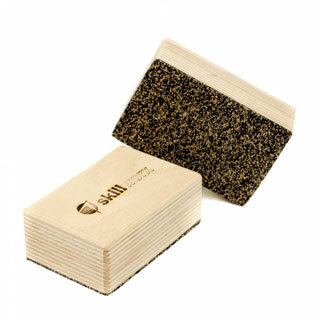 Two pieces of blocks of wood cut to either a square or rectangular shape will be helpful for those who want to play with more advanced handstand drills. They are also useful to decrease the amount of pressure on the wrists during the handstand. Substitute: It’s such a simple piece of equipment that substituting it with anything else would only complicate things. 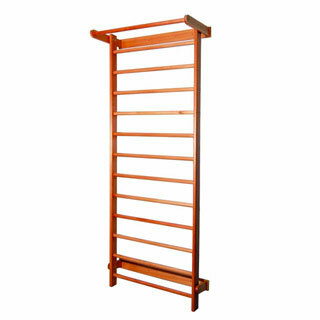 Once common in nearly every school gymnasiums throughout the world, Stall Bars are now quite rare to find outside gymnastics gyms. 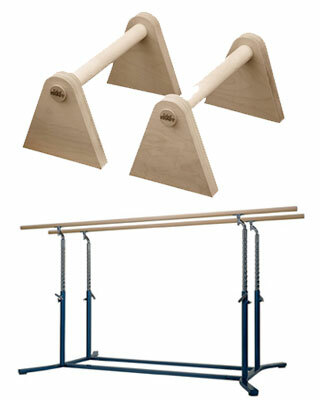 Not so straightforward to install at home but Stall bars make an excellent addition to your home gymnastics strength equipment. They are an excellent tool for many different exercises from flexibility to strength drills. Especially recommended for Human Flag (Side Lever) work. Substitute: Proper stall bar is difficult to mimic due to the fact that rungs are evenly spaced which makes choosing a comfortable grip simple and consistent. Many playgrounds have equipment with ladders that can serve as a substitute. For advanced side lever progressions, you can also use vertical pole which can be found on almost every playground.